Do you want to understand reality? Do you want to make sense of spirituality? Let the ideas of the Ramchal help you. 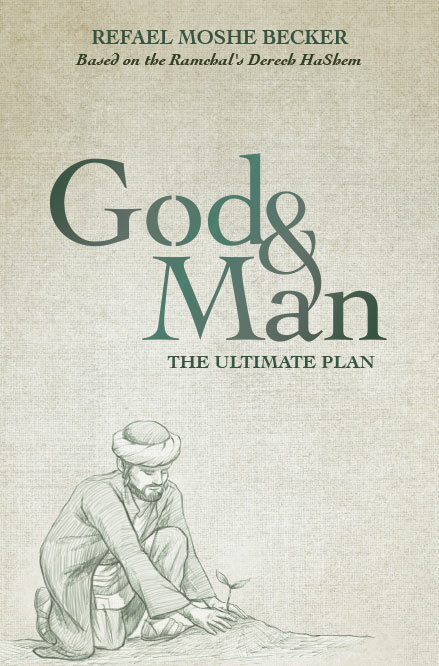 G-d and Man: The Ultimate Plan closely follows the structure of Derech HaShem. In the first section, we learn about the purpose and structure of Creation and the specific function of man. The second section explains G-d’s engagement in the universe, reincarnation, teshuvah, and Israel’s unique mission. In the third section, the essence of the soul and dreams are revealed, as well as the mechanics of prophecy. In the last section, we learn about the reasons for the mitzvos and the centrality of Torah study, as well as love and awe for our Creator. This fascinating and engaging sefer explains the teachings of the Ramchal for the modern age, and brings clarity and inspiration into our lives.